There is nothing more eye-catching in an aquarium than a large, healthy fish. 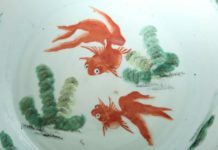 But before keeping large fish, there are responsibilities to consider. 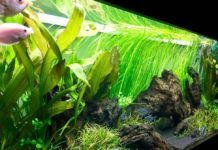 In many ways, keeping large fish is the epitome of the aquarium hobby. 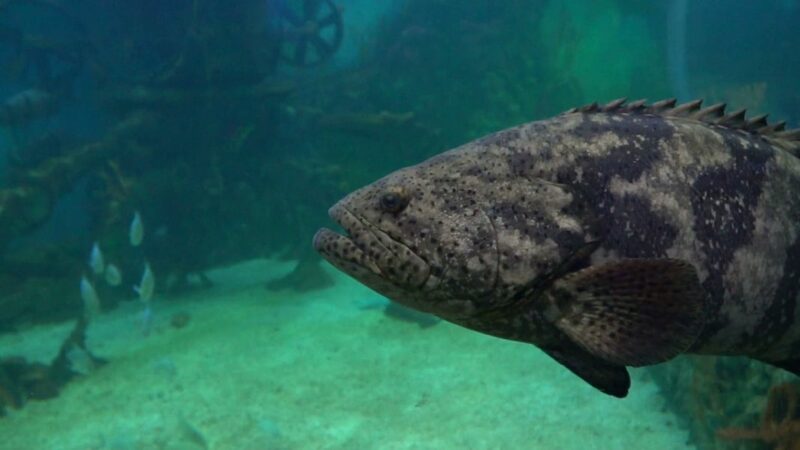 Raising large fish can be difficult, especially if the aquarist is not prepared. 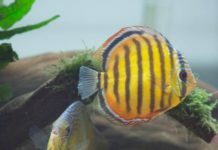 It should also be noted that keeping these fish is a great responsibility and aquarists should not own these fish unless they are willing to make the necessary commitments. Before any large fish is purchased, the aquarist needs to perform preliminary research and ensure that he can provide for the fish’s needs. Some of the more imperative information to be researched includes the growth rate of the fish, the maximum size the fish can attain, the diet of the fish, the aggression and compatibility of the fish, and any special water parameters the fish might require. When conducting research, cultivate multiple resources. 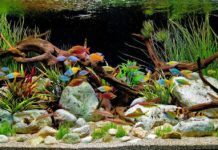 Scour the internet and make use of forums, connecting with other aquarists who have experience keeping the chosen type of fish. Contact local pet stores and inquire about the fish and its needs. If possible, locate texts and reference books that contain any useful information. Also be sure to speak with others who own large fish and learn from their experience, especially any problems or challenges they have encountered. Big fish tend to have complex or very specific dietary needs. 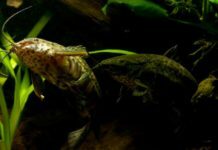 Many of the larger fish in the hobby are carnivorous and will rely on live foods, including fish, shrimp, crabs, crayfish, and worms. All these big species, including herbivores and omnivores, require high amounts of protein in their diet and will need to be fed regularly. Be sure to choose healthy, disease-free feeders and high quality packaged food with nutritious ingredients. The consequences of low-quality foods and poor diet will be very apparent and more detrimental with large fish. The greatest challenge of keeping larger specimens is providing the space they require. Big fish need large aquariums. When choosing an aquarium, it needs to be spacious enough to accommodate the fish when it reaches its maximum size. The fish should be able to turn around comfortably, meaning the aquarium needs to be at least as wide as the length of the fish. 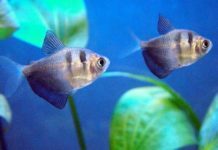 The fish also requires at least minimal swimming space, being able to travel three to four body lengths along the length of the tank. Thus, for a fish that will reach a maximum of 12 inches, the aquarium will need to be at least 12 inches wide and 48 inches long. Remember, larger fish are very powerful. 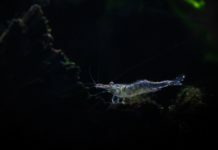 If they are not provided with a sufficiently large aquarium, they can break equipment and possibly the aquarium itself. Most importantly, if you keep these fish in small aquariums it will stunt their growth. This does not mean they stop growing altogether as many people believe, but rather they grow in abnormal ways, usually developing deformities and other health problems. Big fish are big eaters, which means they also have a high bio-load (they poop a lot). 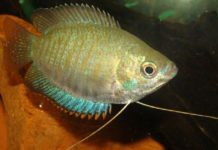 Large fish in large aquariums require powerful filtration and substantial water movement. Perform the necessary research and speak to other fish owners and choose the equipment that suits your needs. Whether the fish chosen is considered to be a jumper or not, the aquarium should be equipped with a secure lid. Even if they do not jump, large fish can easily displace gallons of water should they splash or become startled. 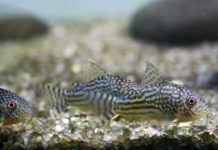 Large fish can be extremely rewarding to keep, but much of this satisfaction comes from the diligence and hard work exercised by the aquarist to provide a healthy home for his fish. Research and the proper provisions are the keys to keeping big fish, devotion to the fish is the path.